Pack your bags: 2016 is shaping up as a great year to visit NSW, Australia. Here are a couple of reasons why we are so excited about this region. For starters, a slew of big-ticket sporting events such as the Sydney Sevens Rugby (February 6-7), 2016 World Baseball Classic Qualifier (February 11-14), and Australian Open of Surfing (February 27-March 6) are expected to pull crowds from around the world. Music festivals like My Fair Lady at the Sydney Opera House and Dream Lover at Sydney Lyric Theatre will also continue to attract visitors to the region. On the arts and culture front, both The Australian Museum and The Slim Dusty Centre are showcasing new features and programs to delight visitors – first-timers or not. Built in 1827, the oldest museum in the country (ie. the Australian Museum) has many new things to offer this year, including over 400 animals from various parts of the world in its Wild Planet section, live entertainment every Thursday night at its bar, and fantastic city skyline and Hyde Park views at its new rooftop cafe. Meanwhile, the Slim Dusty Centre remains an awesome destination for country-music fans. Barangaroo Reserve by Peter Walker and Partners Landscape Architecture and Johnson Pilton Walker. 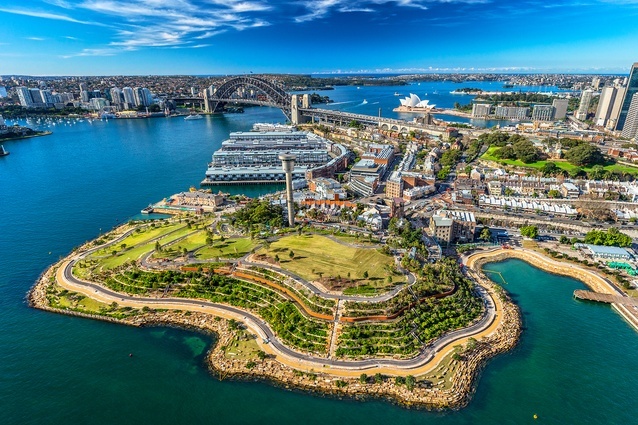 Nature buffs should head over to the newly-opened Barangaroo Reserve to enjoy a sweeping landscape, a huge cultural space underground, the new photogenic Harbour cove, and the magnificent waterfront promenade. If riding is your thing, however, something amazing awaits you in the Long Paddock. Here, you can choose between luxury horseback rides or driving a horde of cattle. At the end of each journey, you can settle in a quirky glamping site served with excellent food and drinks. If glamour camping sounds less appealing than staying in a hotel, then these properties might suit your style. Aloft Sydney is due to open by late 2016, converting the Druids House building into a 136-room modern and stylish hotel. But if you prefer a luxurious retreat for foodie and relaxation junkies, the Spicers Retreat promises an unforgettable date. By the end of the year Fox and Co Hotels will also open another property called The Houston, an excellent choice for the boutique hotel connoisseur. Fuel up at the best food and drink spots to keep you up and running throughout your tour in NSW. Three of the best places to eat and drink are The Lookout in the Blue Mountains, Steven’s Asian Kitchen in Newcastle, and the Silver Compass Tours in Orange. If fine-dining, wine tasting and local produce seem like an irresistible combination for you, then time your visit at the opening of the Lookout, a restaurant and bar located at the Echo Point Escarpment. If for some reasons, you find yourself craving Australian and Asian delights while strolling along the inner city of Newcastle, you need not sweat the restaurant hunt – Steven’s Asian Kitchen is the way to go. Another option you can explore are tour packages with gourmet meals and no one does customized dining and tour better than Silver Compass Tours. The tricky part is not actually what you can do around New South Wales, it’s how many weeks or months you can spare to get the most out of this wonderful tourist destination. If you enjoy this post, follow us on Facebook and never miss an update!